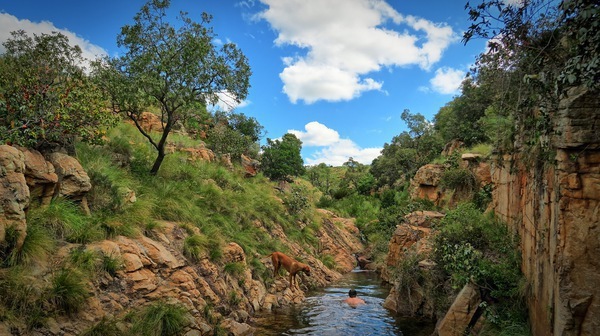 The Mamagalie Mountain Lodge is nestled on the slopes of the Magaliesberg, Gauteng, near the Buffelspoort Valley and dam, less than 100km from Johannesburg and Pretoria and no E tolls to contend with. 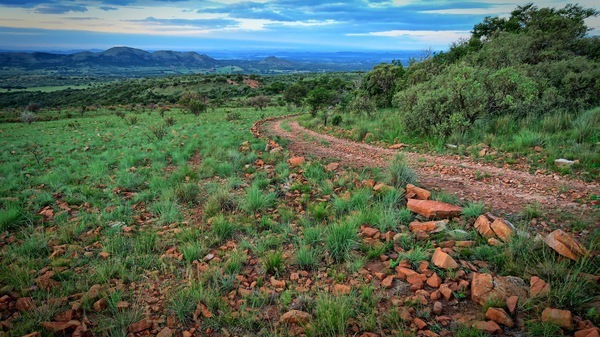 The Lodges are situated on a working farm and game stocking is underway with impala, rhebuck and zebra introduced to date as well as the many existing species. 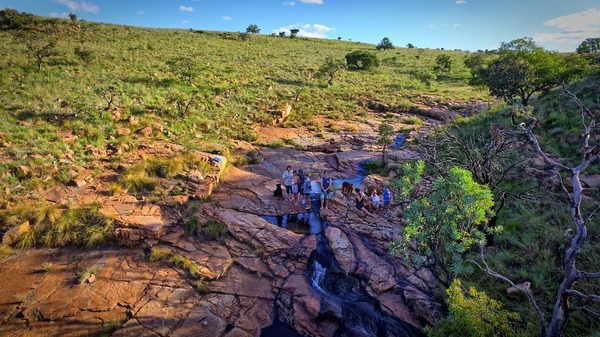 Hiking trails and private rock pools in the mountain stream are available to our guests. All units have fireplaces. Mamagalie Lodges comprise of 4 different units all situated for maximum privacy, guests are virtually assured of not seeing or hearing other groups. 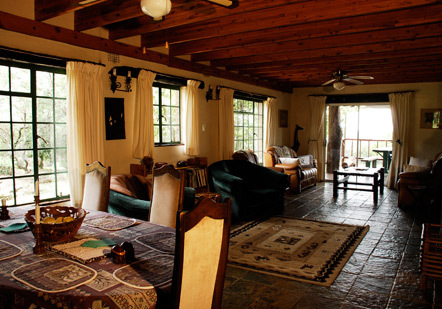 The Mountain Lodge consists of 3 double bedrooms and an open plan room that can sleep 4-6. An ideal family unit with stunning views and private swimming pool. A large braai boma is adjacent to the pool. The unit operates on grid power and is fully equipped for a luxurious self catering stay, the kitchen has a 6 plate/stove/oven, large microwave, fridge/freezer and chest freezer. All linen and towels provided, cleaning available if requested at extra cost. The unit is surrounded by an electric fence for added security. The Bush Lodge is a unique unit sleeping 2/4. Operating on solar electricity this eco unit is extremely private and has it's own plunge pool. 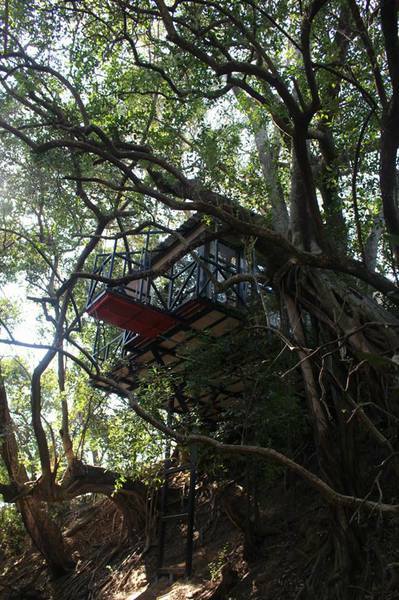 Built on three levels into the tree canopy it is a bush lovers dream. The tented sleeping area has wooden panels and carpeted flooring, as well as a fireplace in the lounge to beat the winter chill. Large sliding doors open the view down the kloof. The kitchen has a fridge/freezer and 4 plates gas stove and oven, all cutlery and crockery supplied. 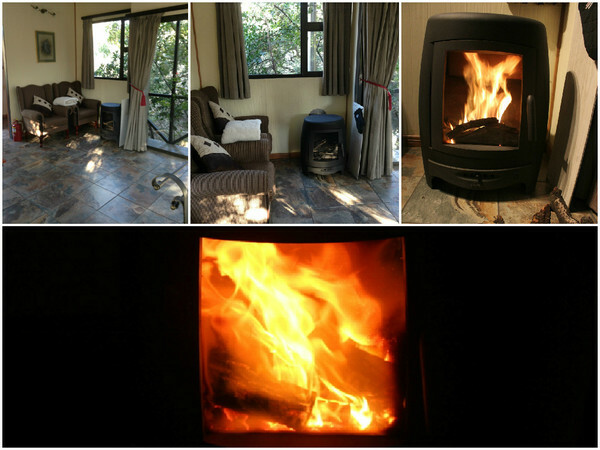 The Forest Lodge is also an eco unit operating on solar and gas. Nestled in a Wild Olive grove it is extremely private and well equipped. Featuring large skylights in all rooms, with queen sized bed in the spacious bedroom, it has an outside shower as well as bath and shower en suite. The kitchen has a gas fridge/freezer, 4 plate stove and oven and is fully equipped for a self catering stay. The River Lodge is similar in design to the Forest Lodge but operates on mains power and has electric stove and oven, microwave and large fridge freezer. Shaded by an ancient wild olive tree it,s large sliding doors and windows give a panoramicview of it's beautiful surroundings. Tranquility Lodge is a steel and glass structure suspended 5 meters over an old river bed. 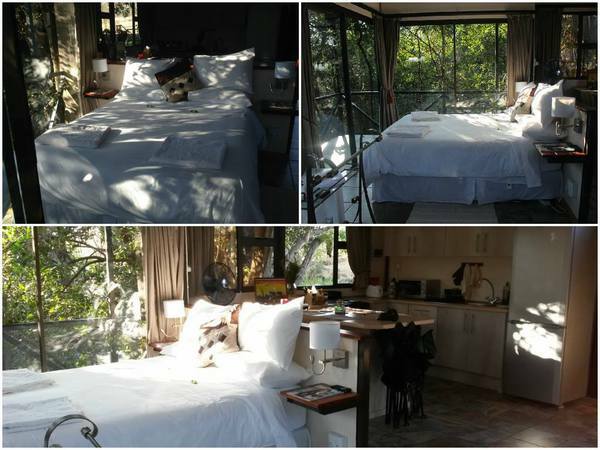 Fully equipped with a luxury fitted kitchen this unit with it's fully glassed sides and made very private by the ancient fig and Moeple tree'sis the ultimate "tree house" experience. A Jacuzzi spa bath and outside shower suspended over the river bed add a unique touch to this stunning unit. Serenity Lodge is the latest addition to our offering. In our quest to try and make each lodge as unique as possible to offer returning guests a different experience, we have taken a simple structure with magnificent views and added a few luxury's. The fitted kitchen makes a self catering weekend away a pleasure with 4 plate stove/oven and microwave. 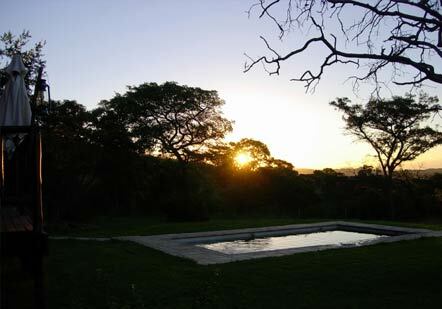 A private braai areais set in the shade of a large White Stinkwood tree and a small grassed area next to it offers a peaceful setting for a sundowner. 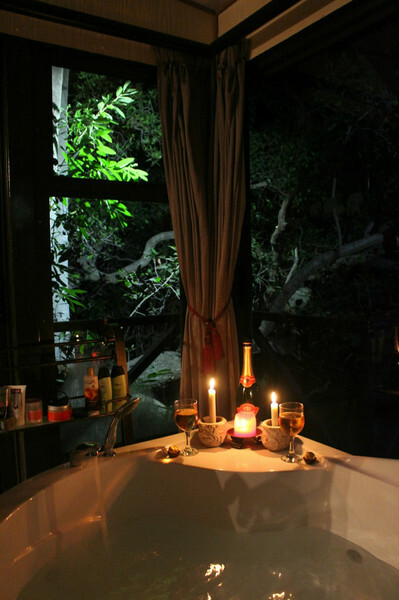 A large luxury double Jacuzzi spa bath is set on the veranda and has beautiful views of the pastureland and Magaliesburg Mountains. Blesbok and warthog visit daily. No bookings are valid without a deposit. Cancellations within 7 days of arrival full payment will be due. A R250 administration fee may be added to any cancellation or transfer requests in addition to the above. Modern tree house raised into the tree level over a river bed. Spa bath and paneled with glass sliding doors opening into the trees. The ultimate romantic destination. A luxurious, spacious family unit. 3 double bedrooms and lot's of bath/shower/toilet combinations. Open plan bunkroom can sleep 6. Fitted kitchen with 6 plate gas stove/oven, microwave, fridge/freezer and chest freezer. Private pool and braai boma. 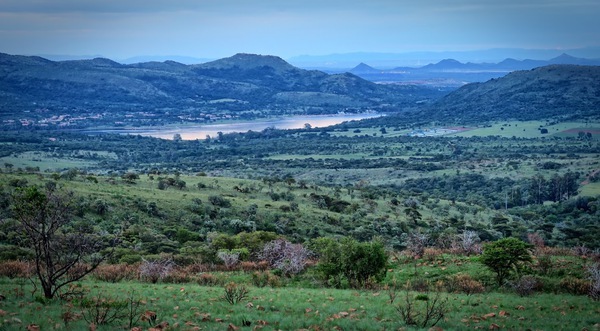 Very private unit with stunning views overlooking Buffelspoort Dam. Eco friendly operating on solar electricity and gas. Split over 3 levels and built from local rock and timber with tented sleeping area and lounge. Fireplace in bedroom/lounge area. Can sleep 2 or 4 depending on guests requirements. Kitchen is fully equipped for self catering with 4 palte gas stove/oven and fridge/freezer. Bath and shower, separate toilet and outside shower. Private braai area and plunge pool. A very private eco lodge set in the middle of a wild olive grove. Large skylights in all rooms offer a unique view on moonlight nights. En suite bath, shower, toilet and outside shower. Fully equipped kitchen with 4 plate gas stove/oven, large fridge/freezer. Queen 4 poster bed and double sleeper couch in the lounge. Private braai area and secured with electric fence and alarm system. Solar lighting. A very private and secluded self catering unit set under and ancient Wild olive tree. Large windows and doors offer a panoramic view of the Mountains and surrounding bush. En suite bathroom with double spa bath/shower and toilet. Outside shower off the bedroom patio. Large bedroom with patio and queen bed. Kitchen is well equipped with mains power and 4 plate stove/oven, microwave and large fridge freezer. Private braai area and plunge pool. Secured with alarm system and electric fence. A private self catering unit with beautiful panoramic views. 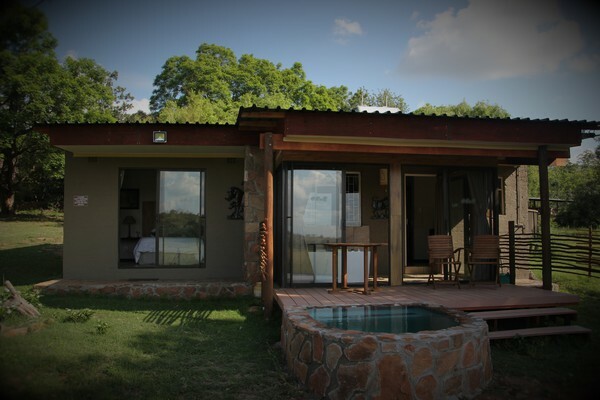 Double Spa bath surrounded by glass doors, private deck, braai and plunge pool. 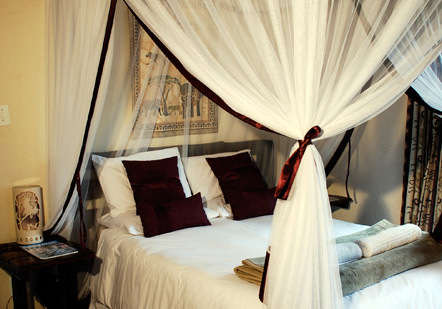 Fully equipped for a romantic self catering stay.